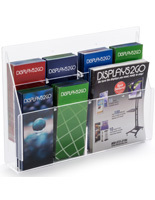 Give your business an organized appearance with one of our acrylic pamphlet dispensers. 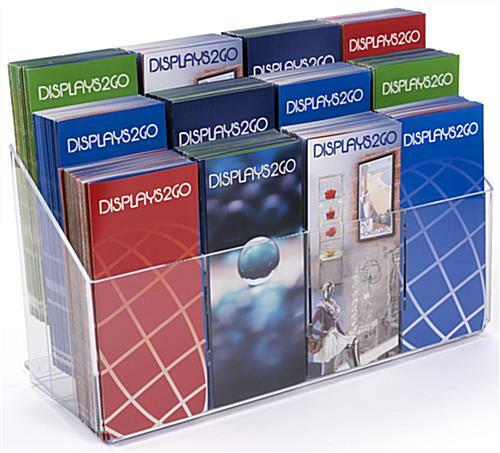 A pamphlet holder is great as a bank product, countertop display, or as a lobby fixture. 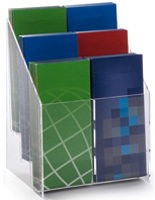 This pamphlet dispenser has permanent dividers that create twelve 2" deep pockets. 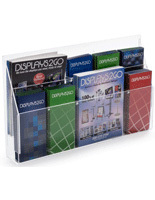 Each of the pockets is designed to accommodate standard 4" x 9" brochures. 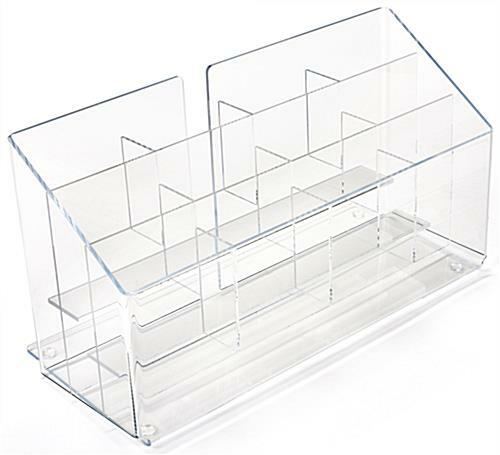 The pamphlet dispenser also has rubber feet at its base to prevent sliding. 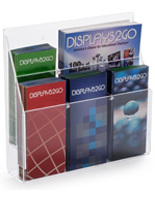 These pamphlet dispensers are perfect for use in waiting rooms, offices, and hotels. 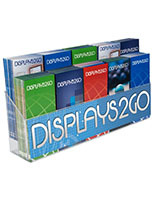 They display your informative materials in an organized fashion and take up little space. 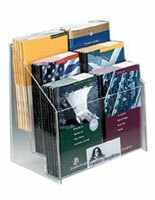 This particular literature holder is only 17" wide x 7 1/4" high. 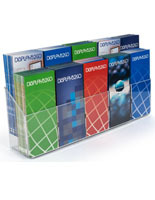 The pamphlet holders are also made from clear acrylic so that your brochures can easily be seen. 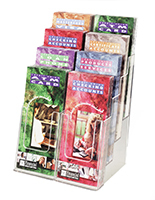 The pamphlet dispensers also blend into any environment. Place one anywhere people pass by for quick and easy distribution! I tried to purchase this item twice. Both times the product was damaged. The first time it was double boxed and packed appropriately but appeared that it was broken prior to delivery. The second time it was shipped in one box and when delivered and box opened it was shattered. I needed it for a show and had to do without it. Delivery of this product is a problem. We are very sorry that you had some issues with delivery and that your order arrived broken, Tammie. A customer service representative will reach out to you shortly.